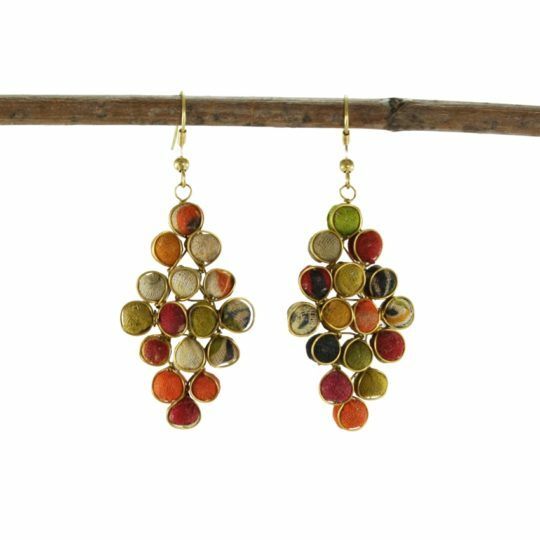 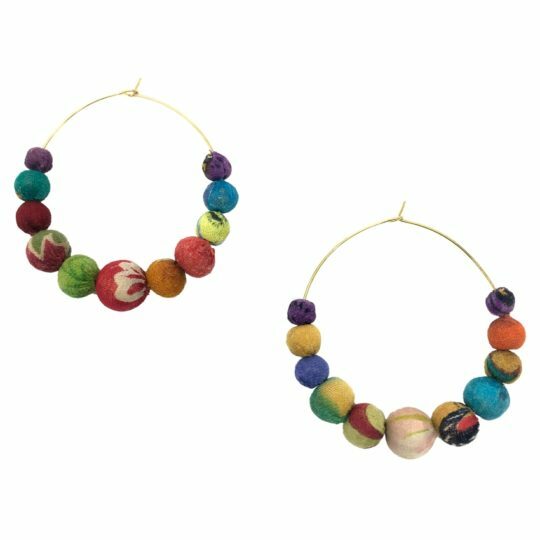 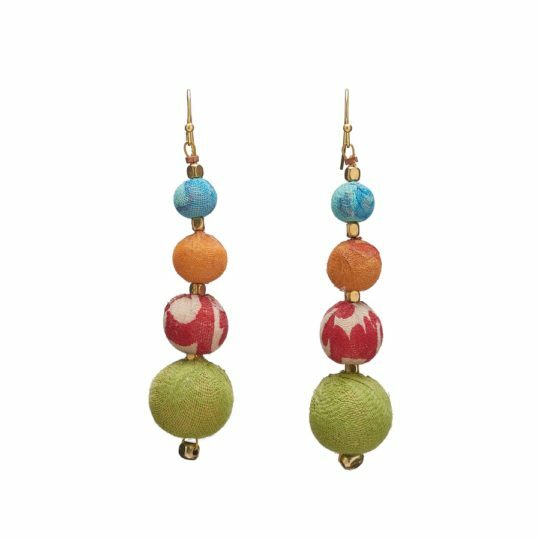 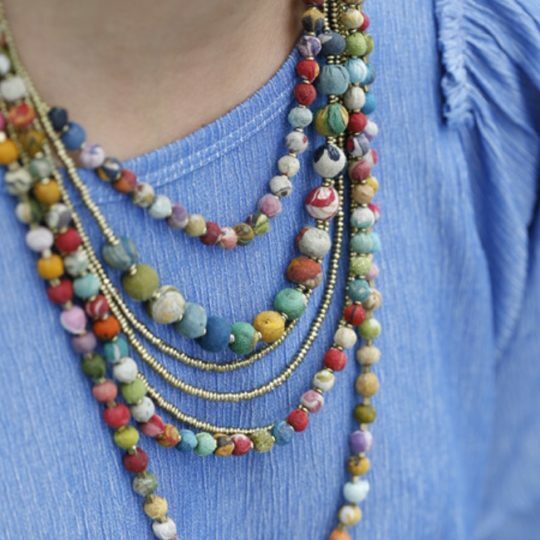 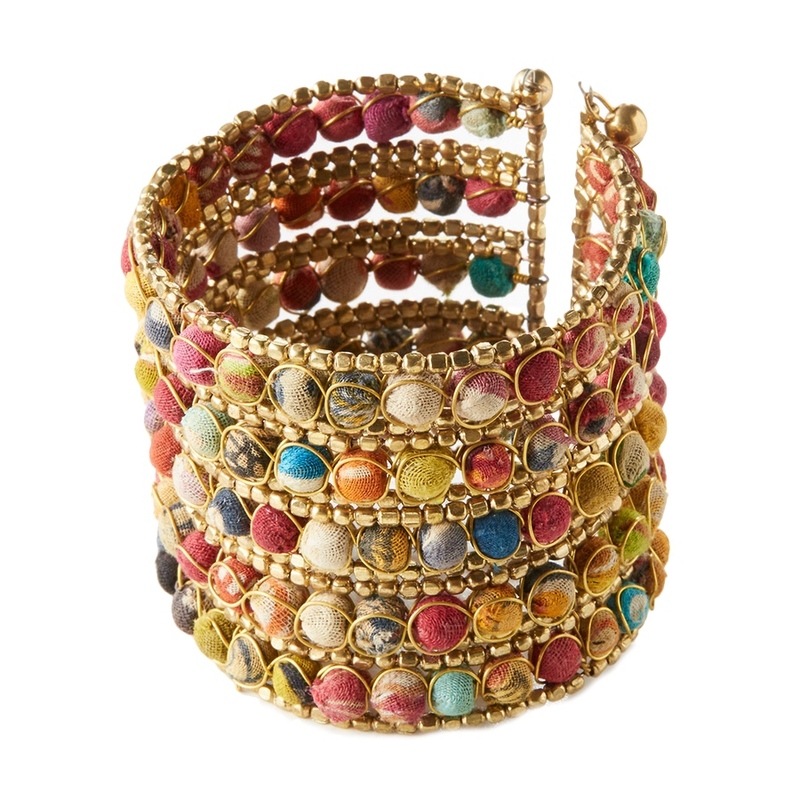 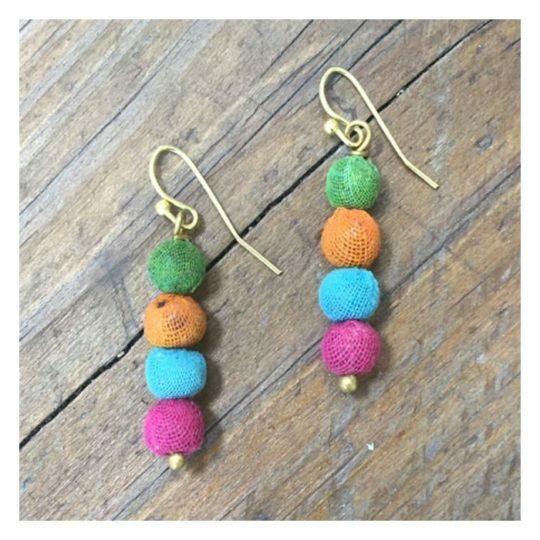 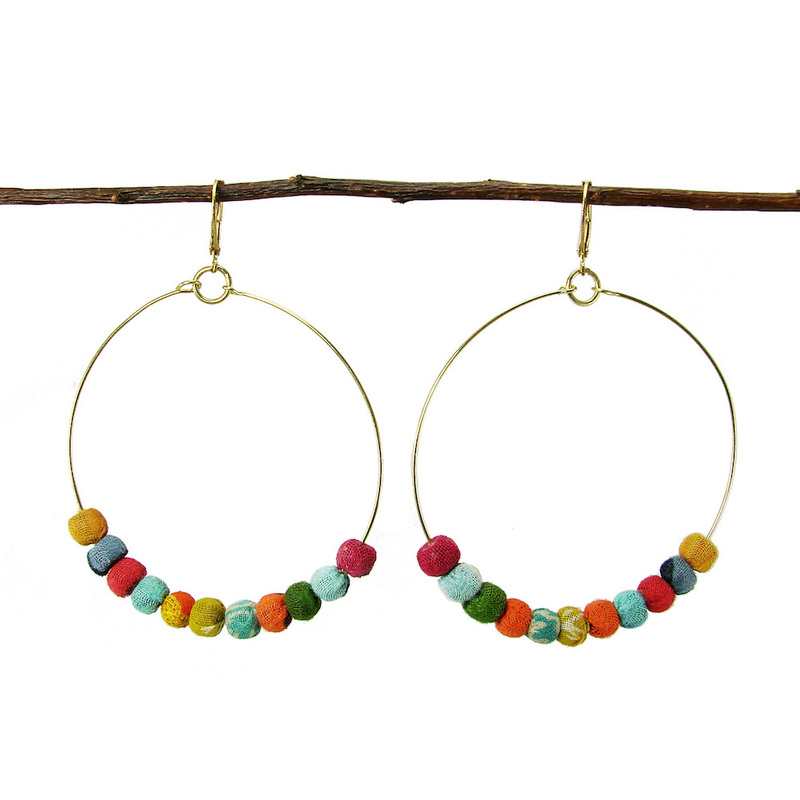 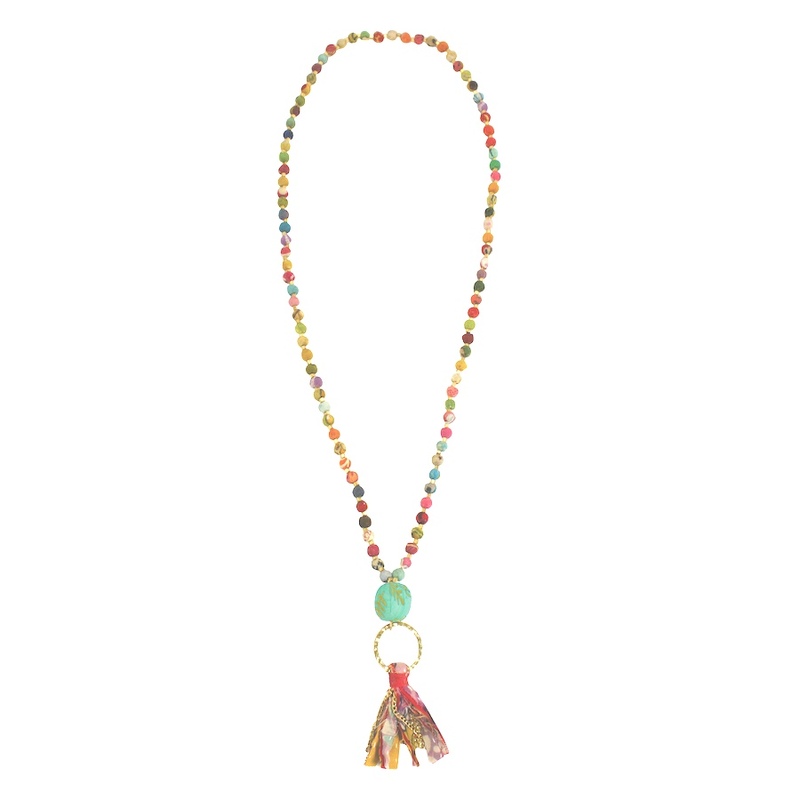 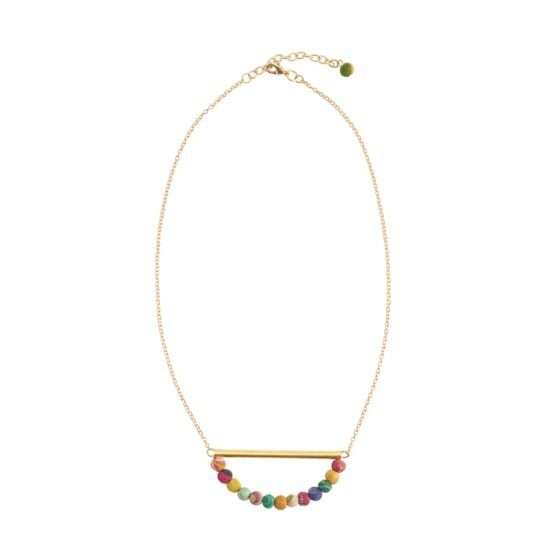 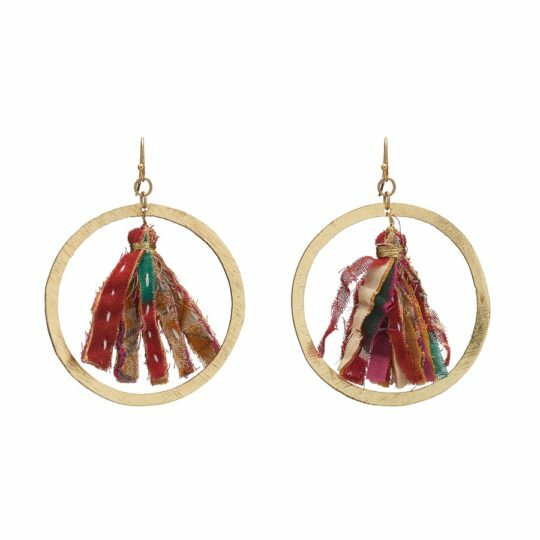 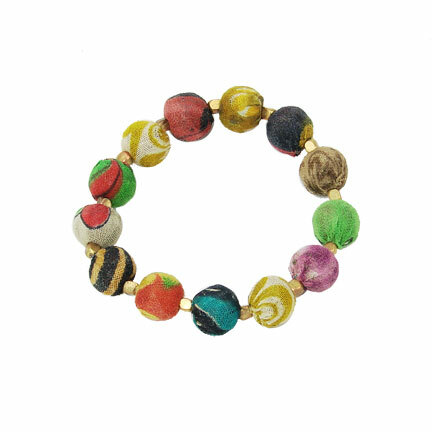 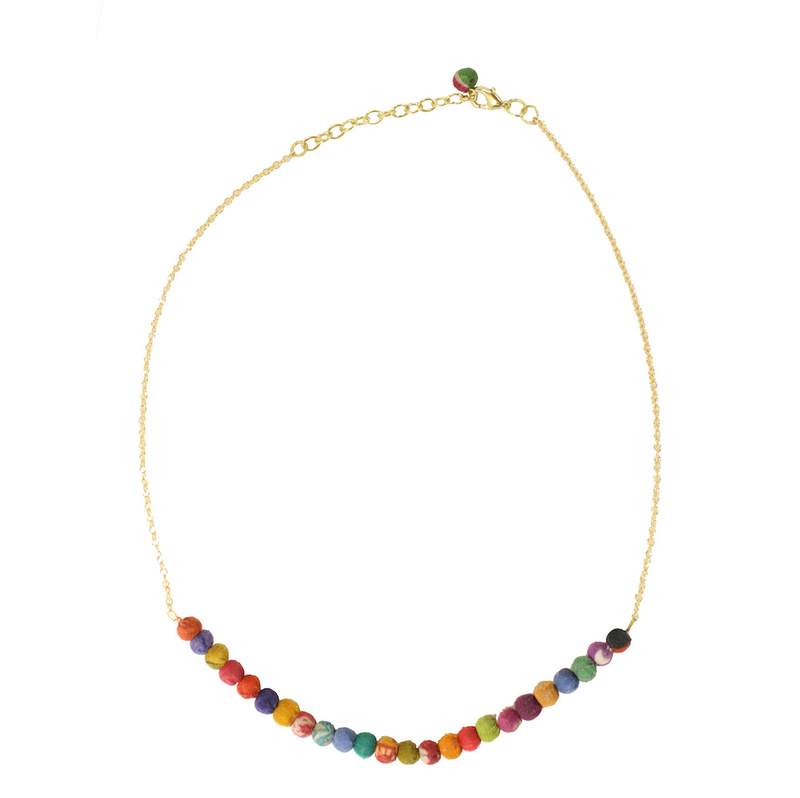 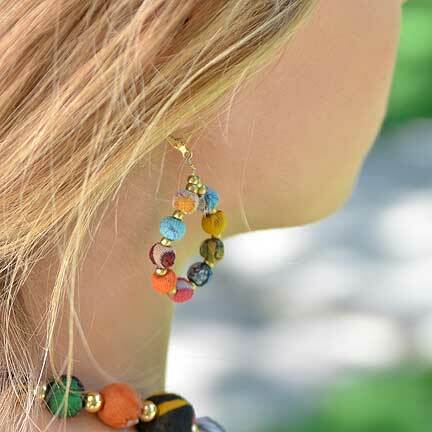 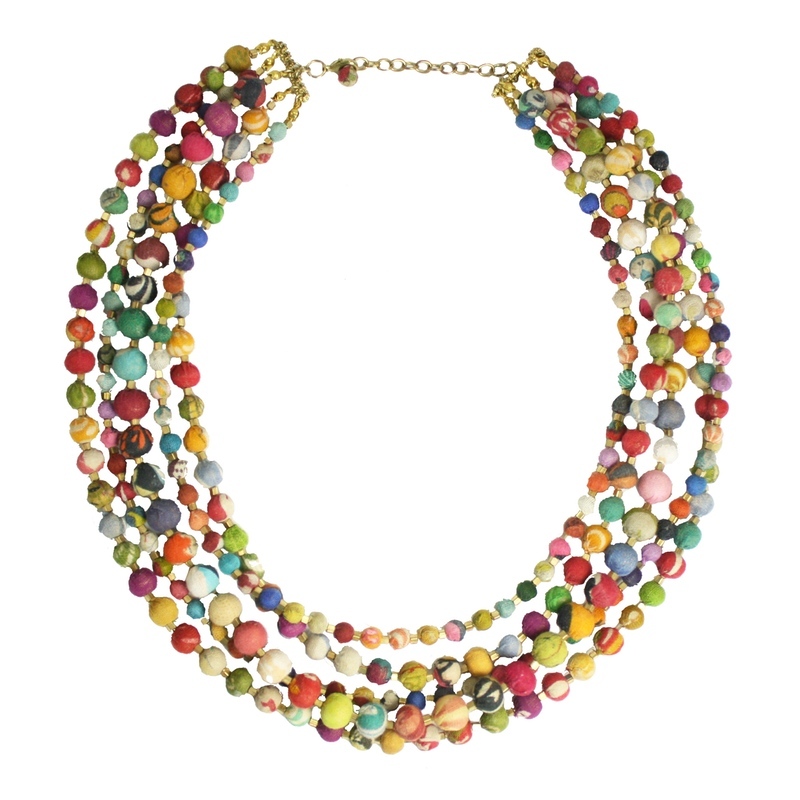 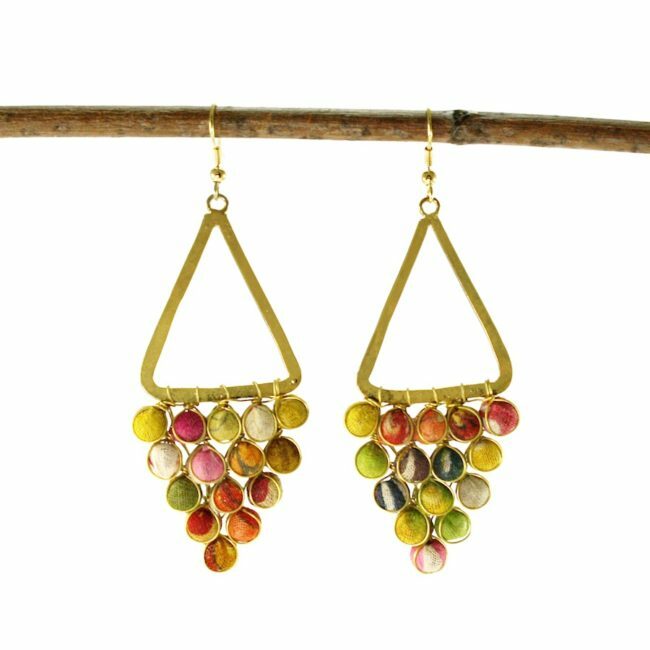 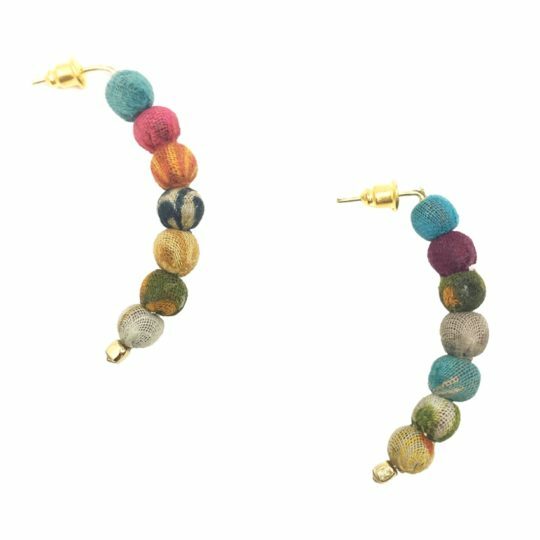 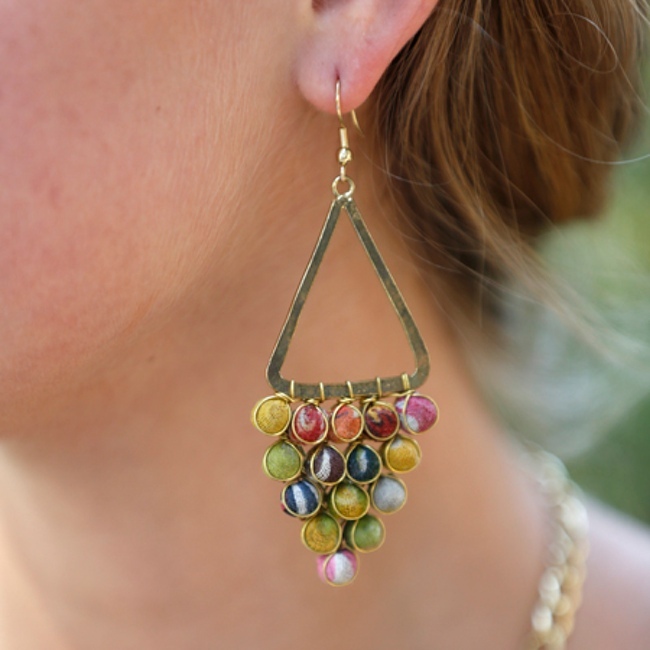 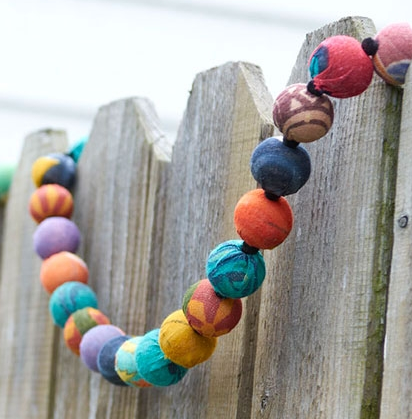 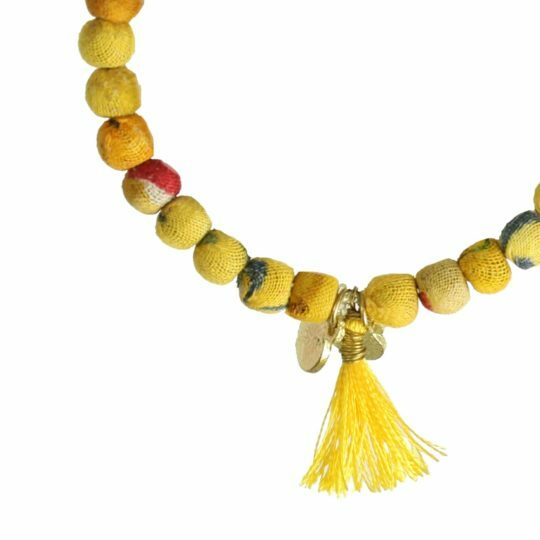 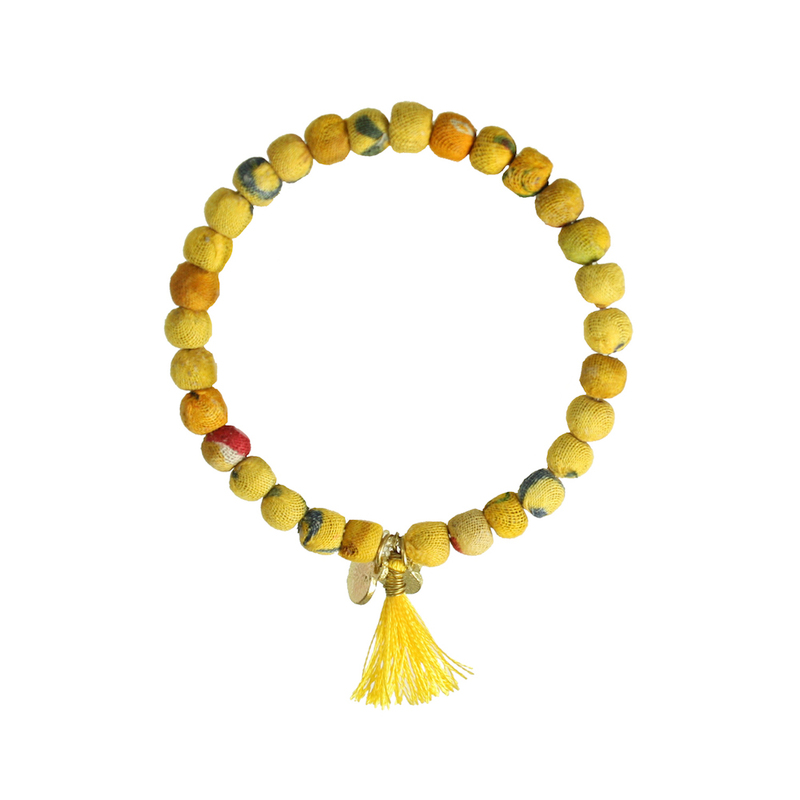 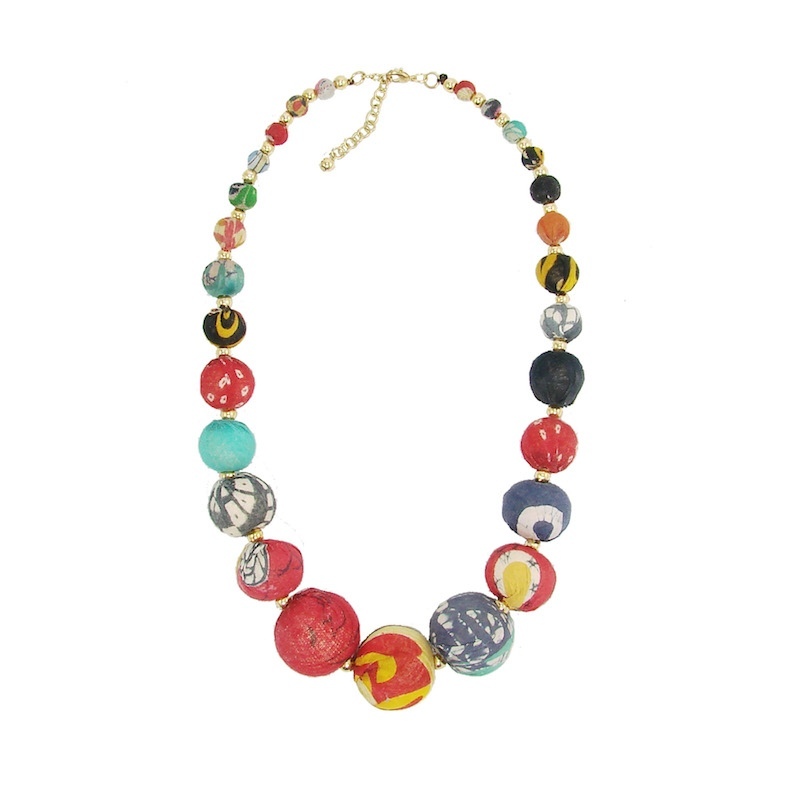 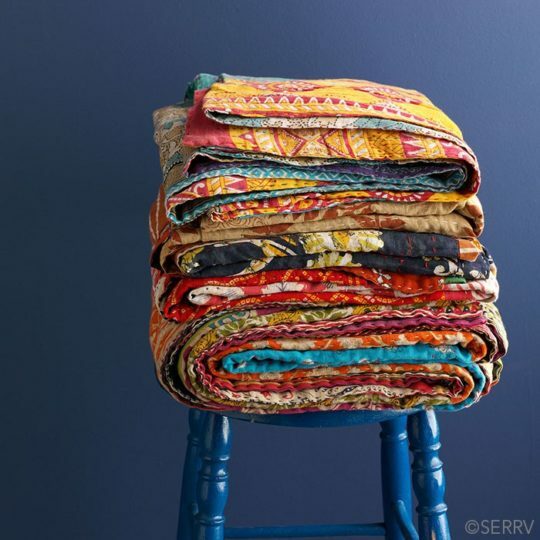 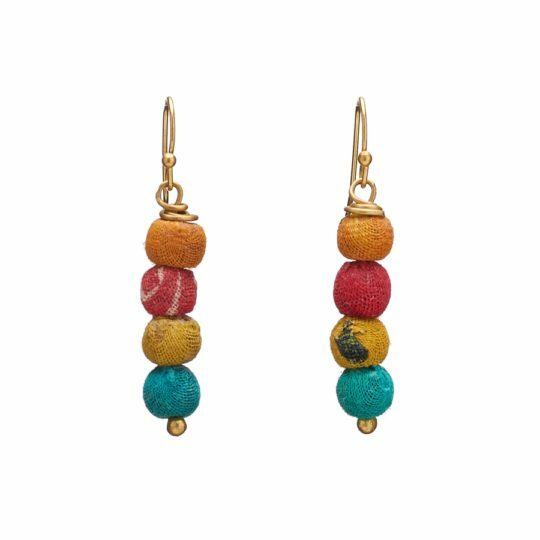 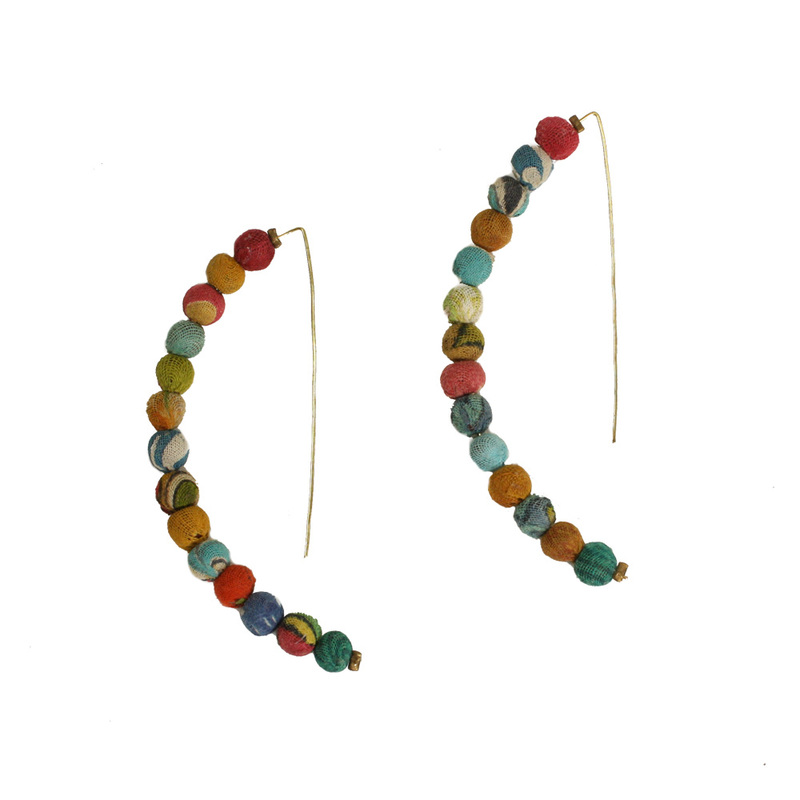 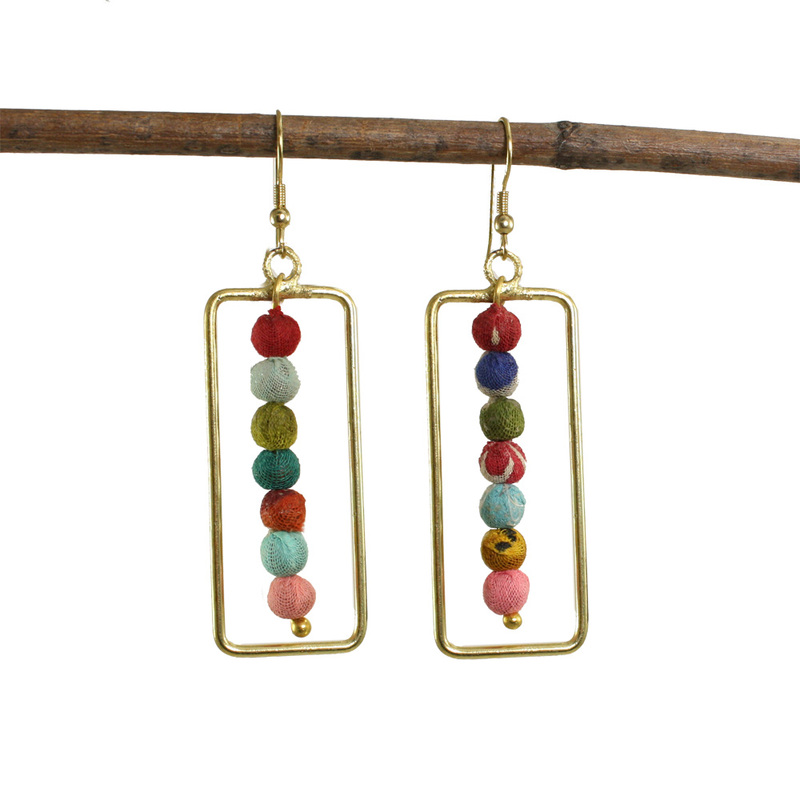 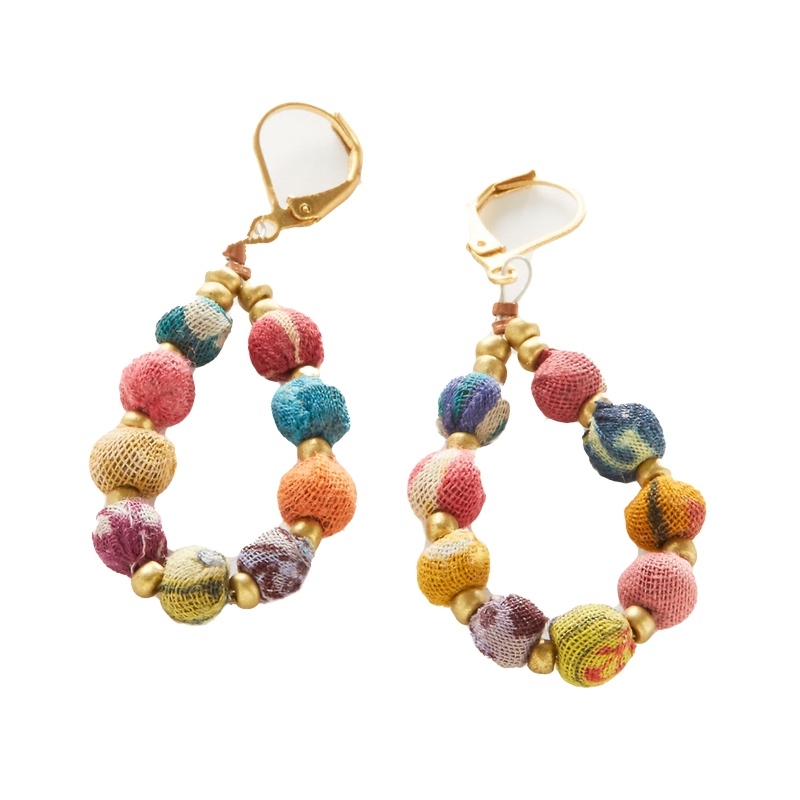 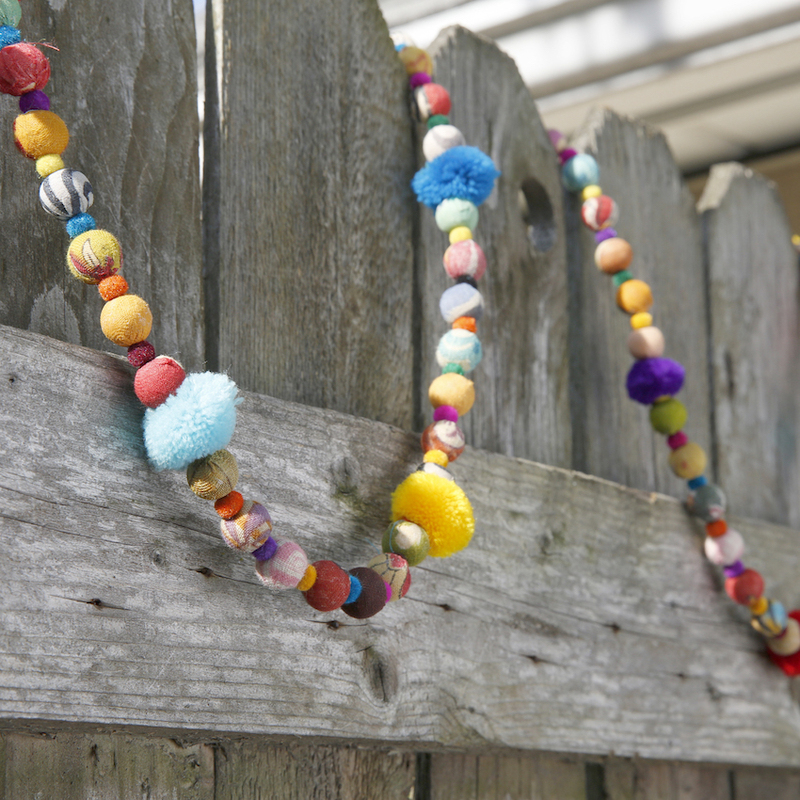 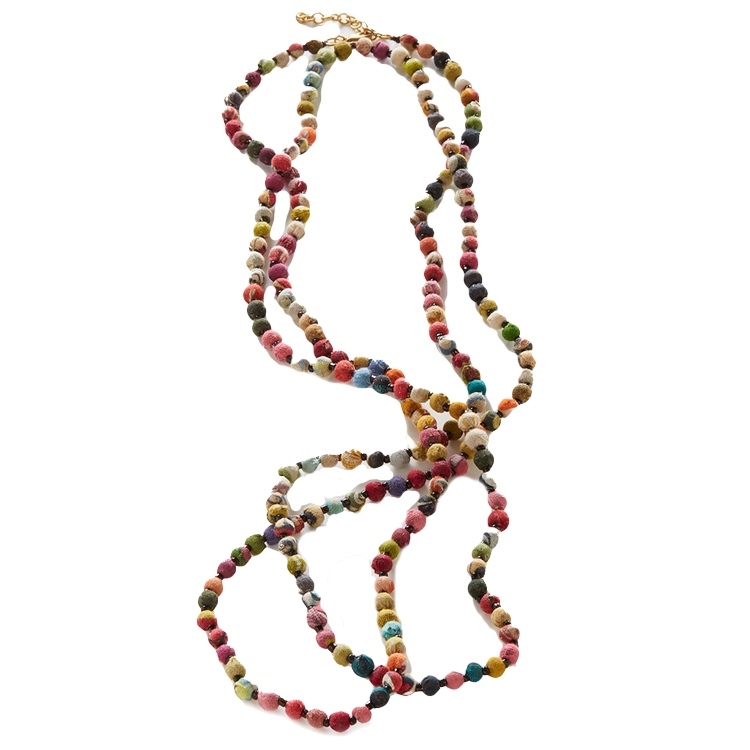 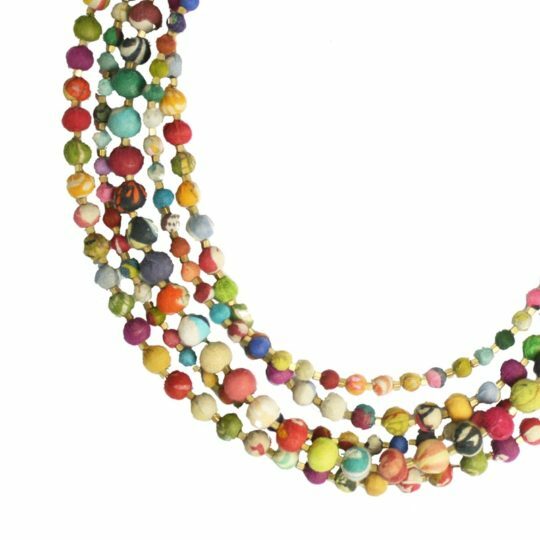 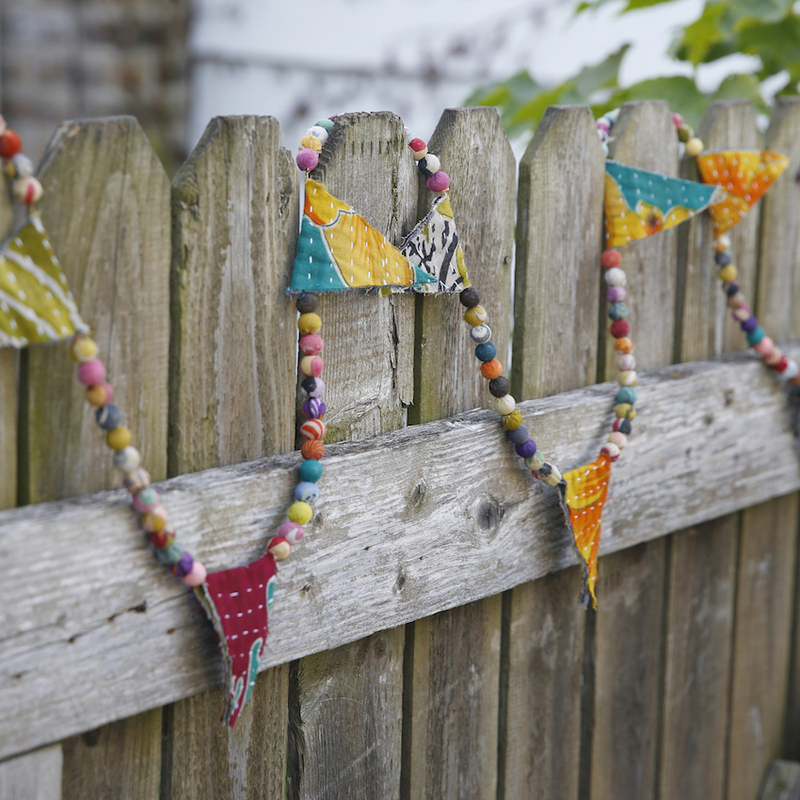 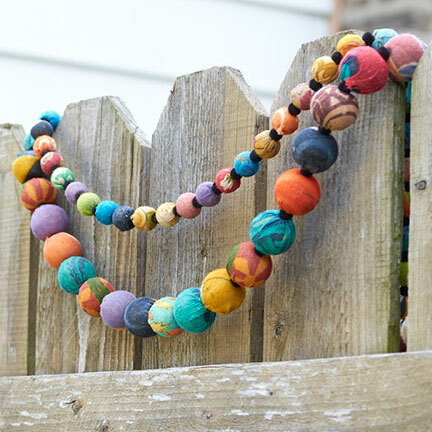 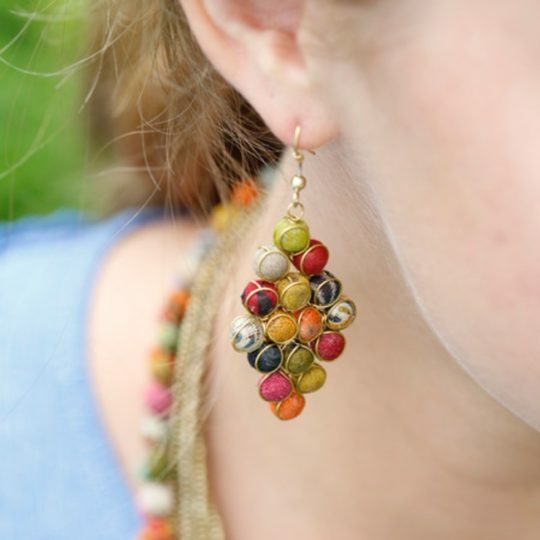 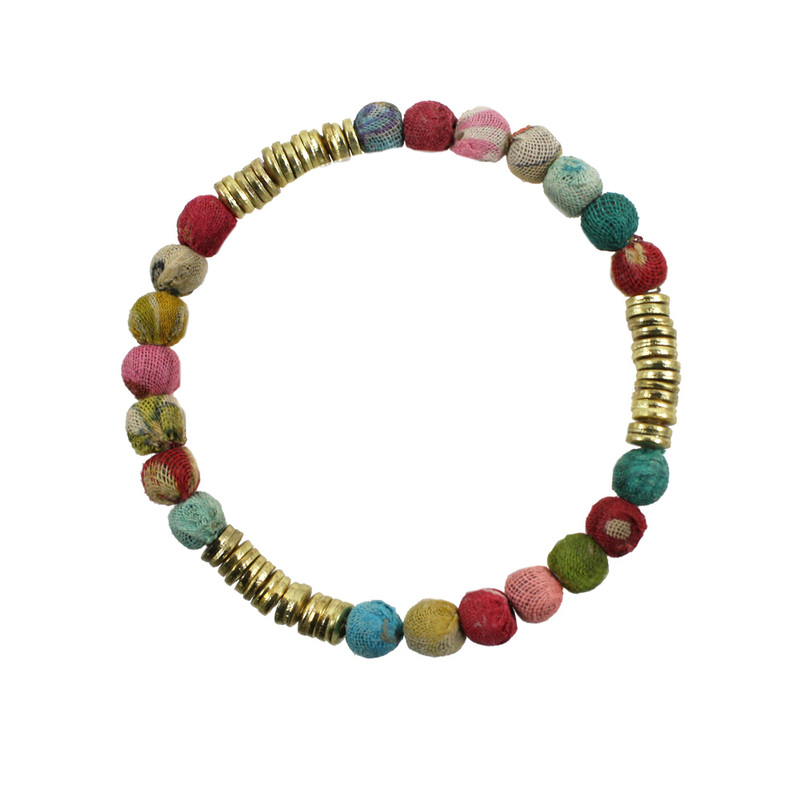 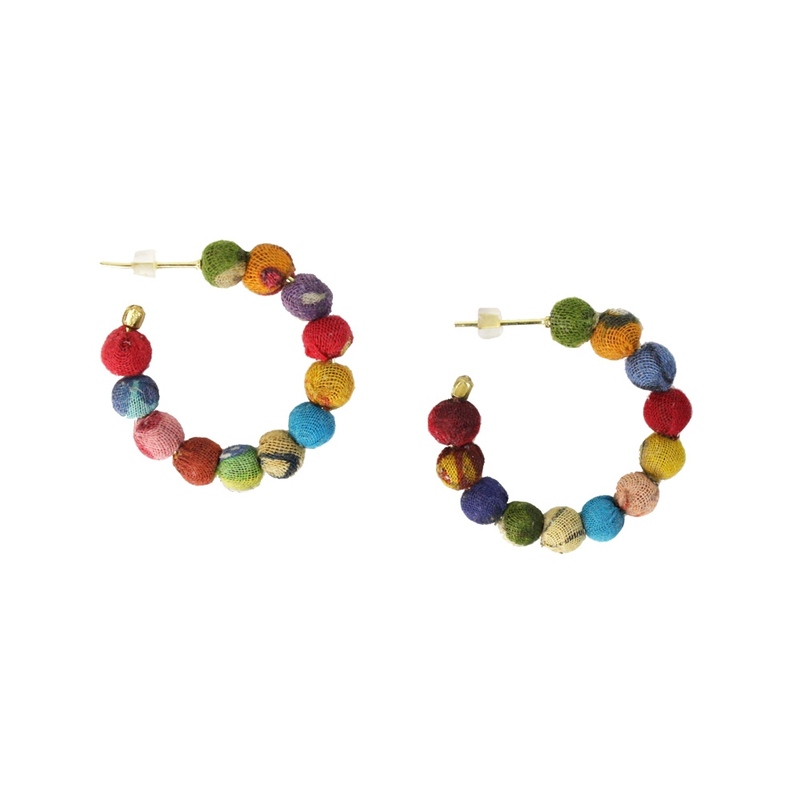 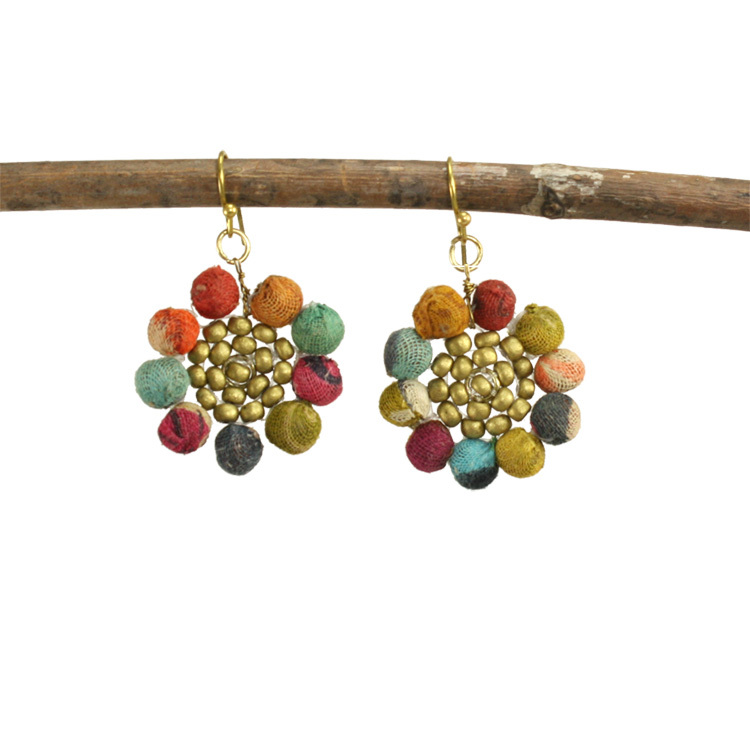 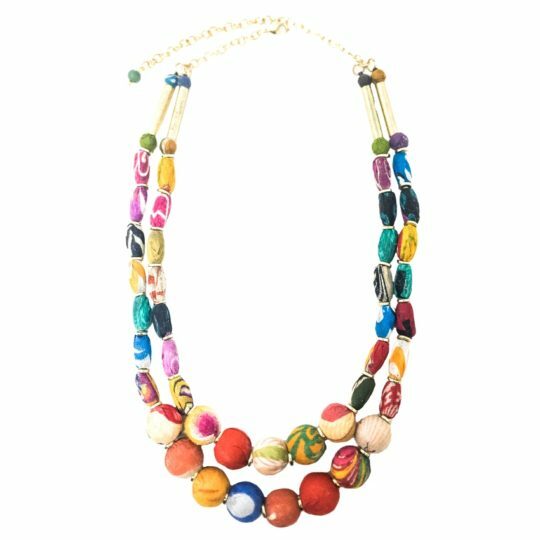 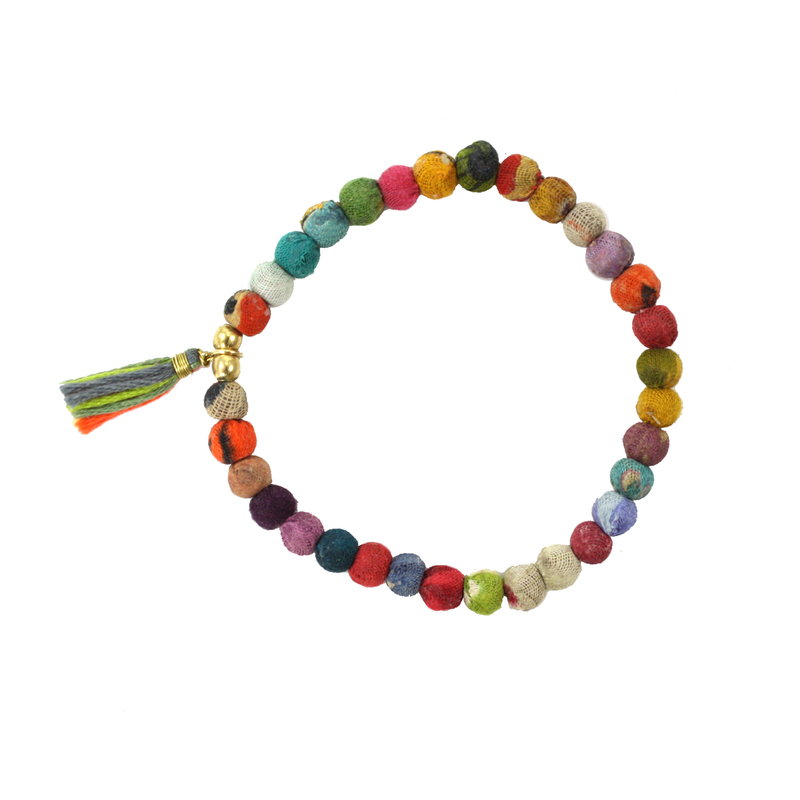 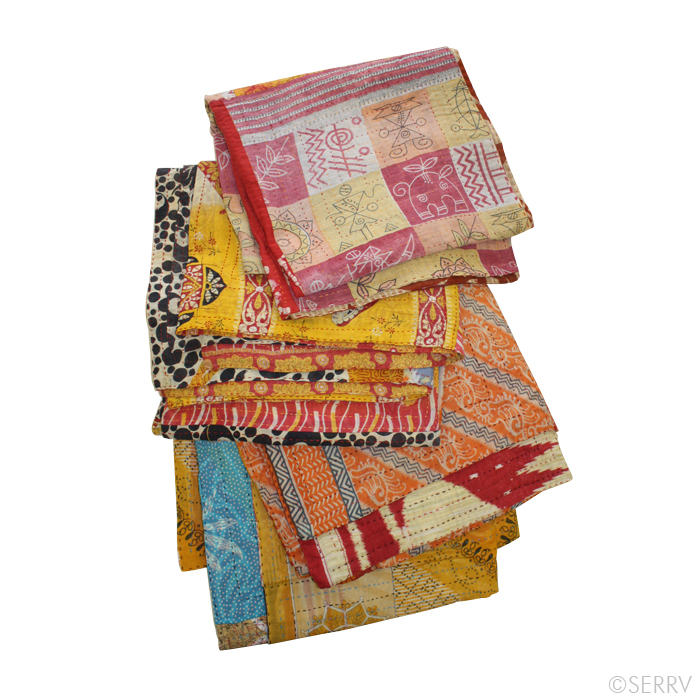 A colorful grouping of recycled Kantha textile beads hangs below a gold triangular frame. 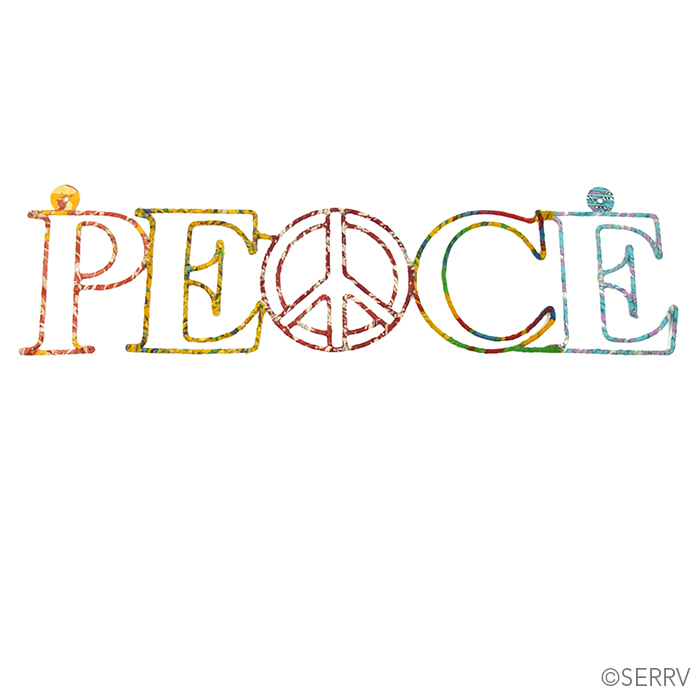 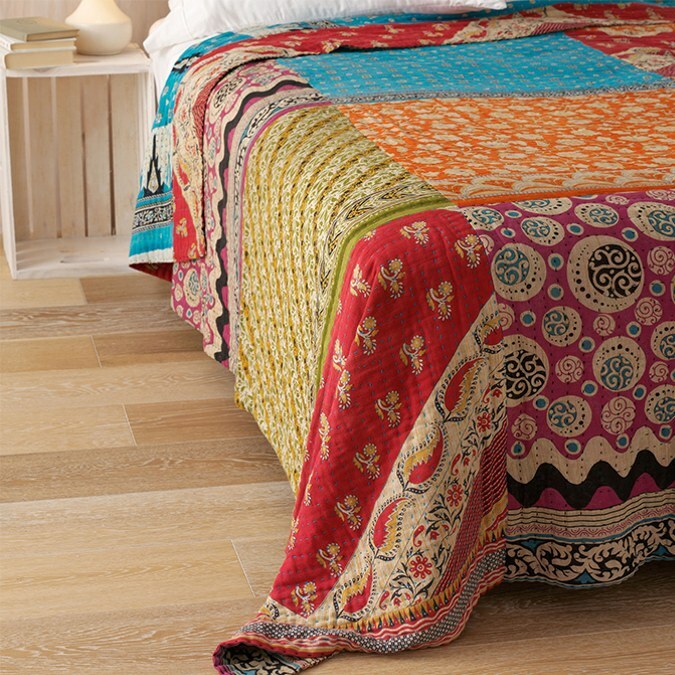 Colors and patterns will vary. 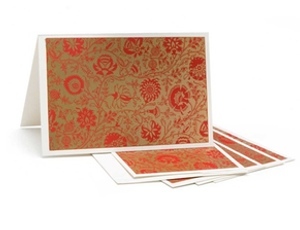 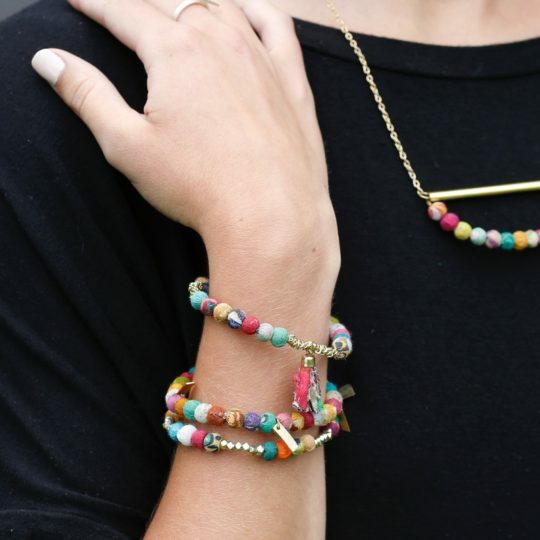 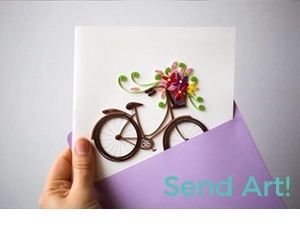 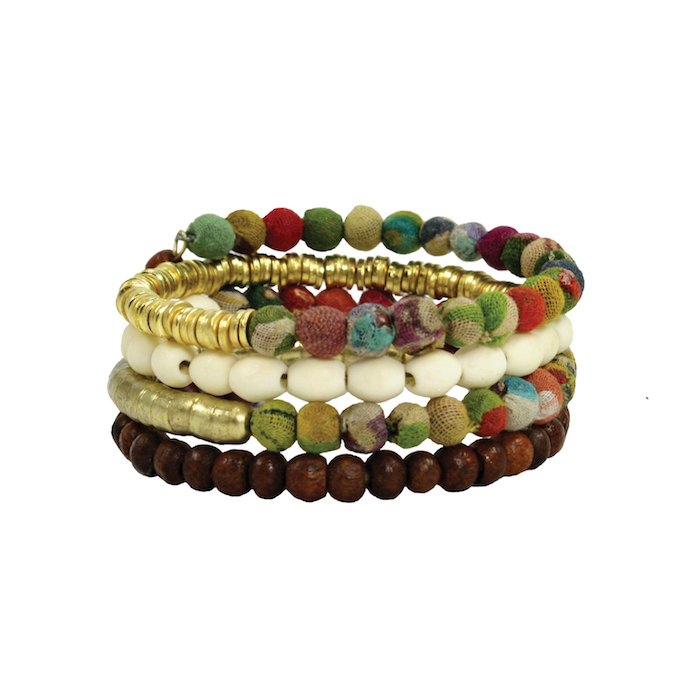 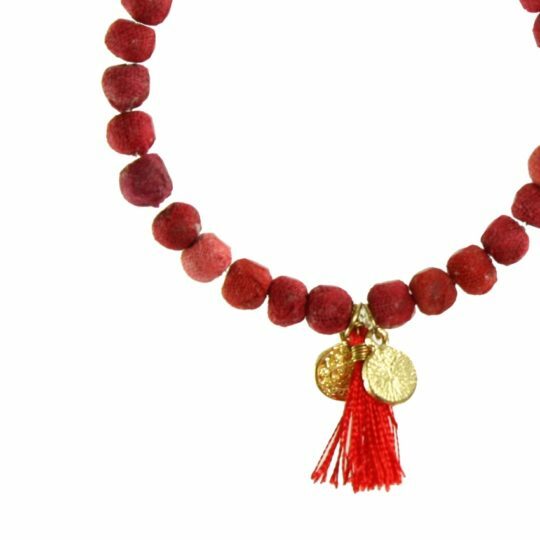 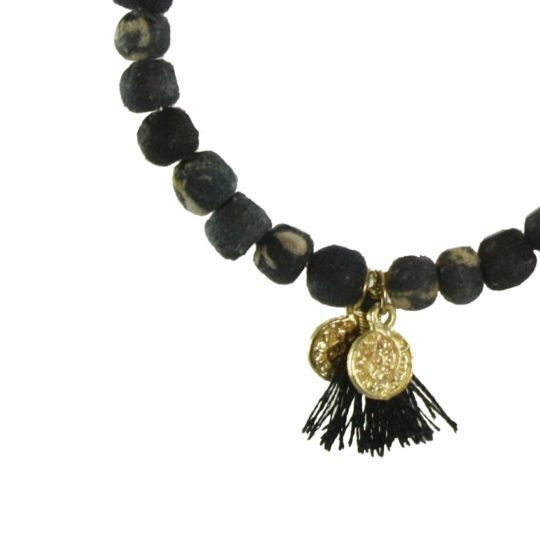 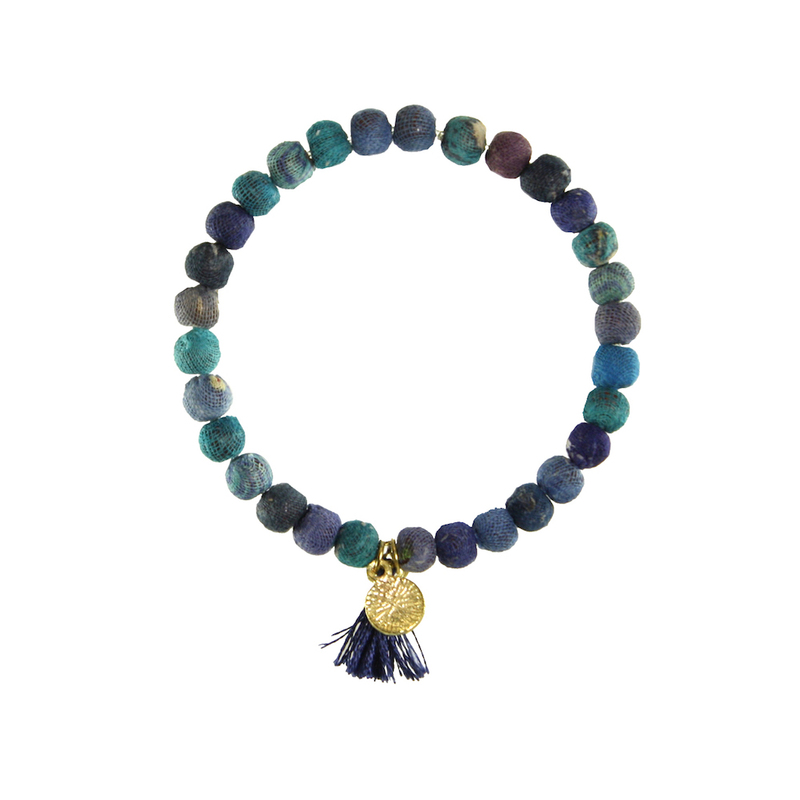 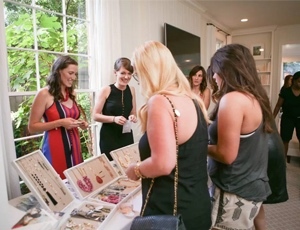 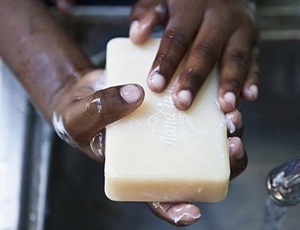 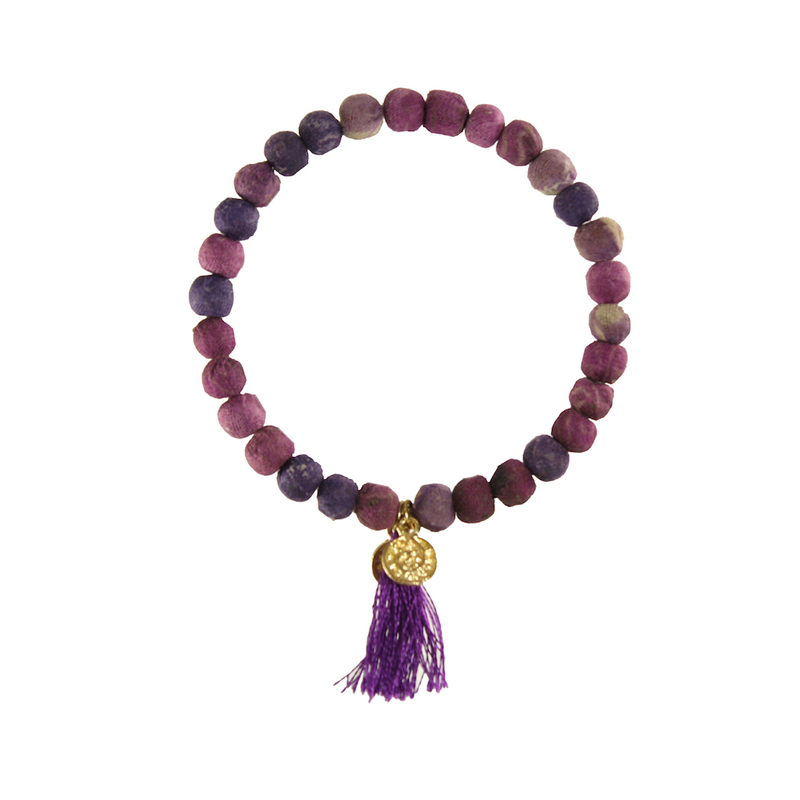 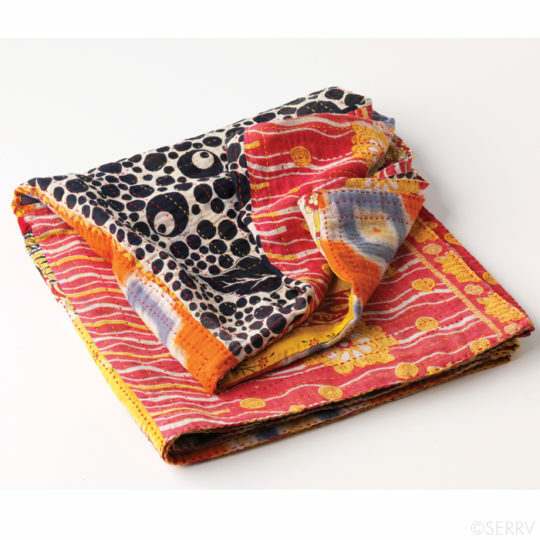 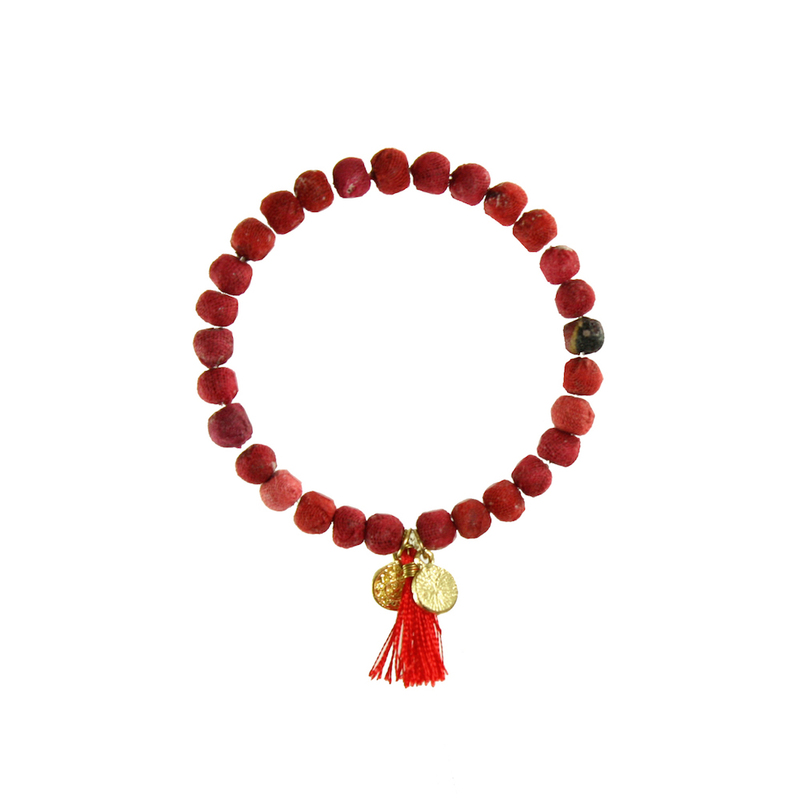 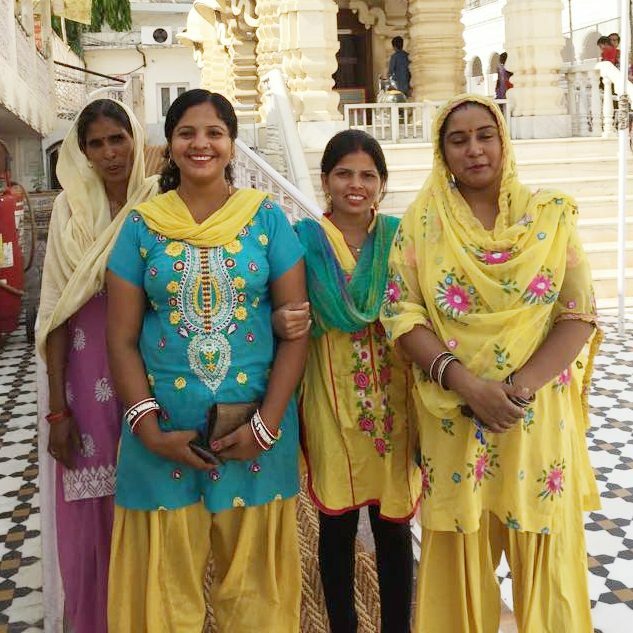 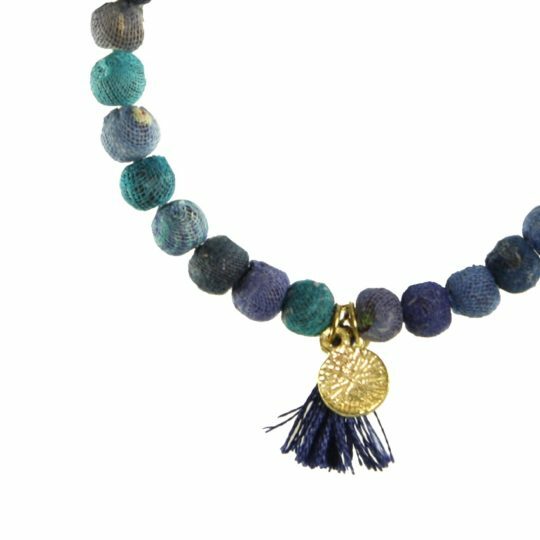 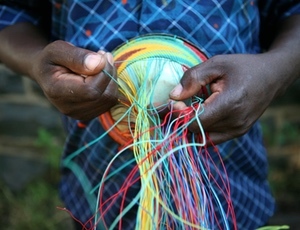 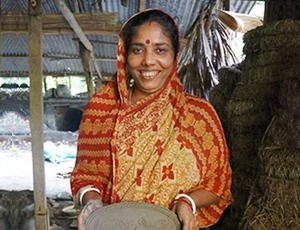 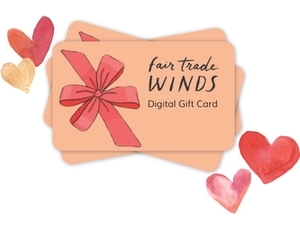  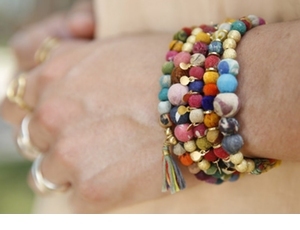 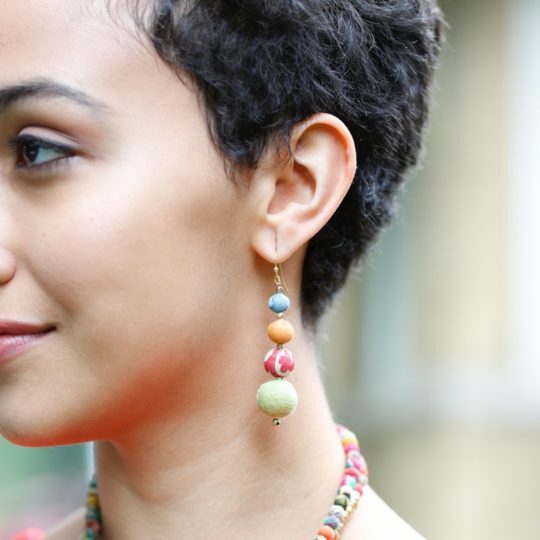 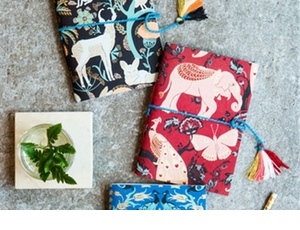 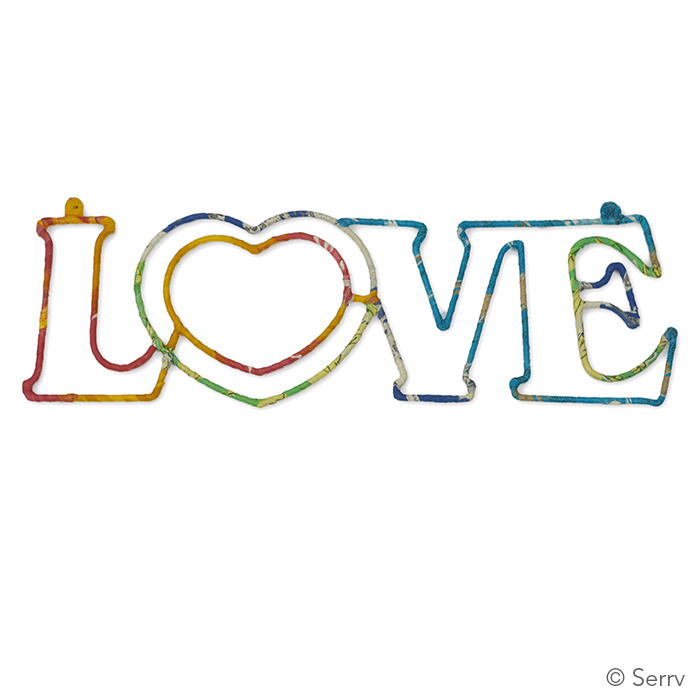 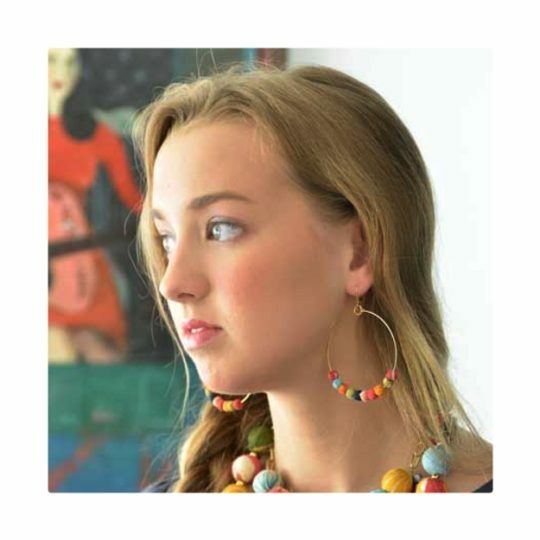 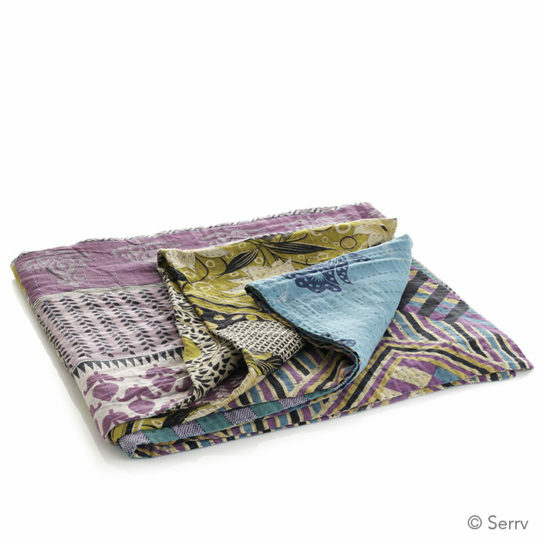 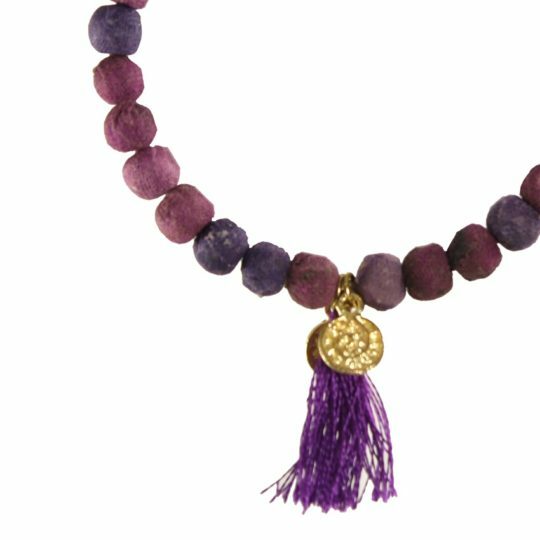 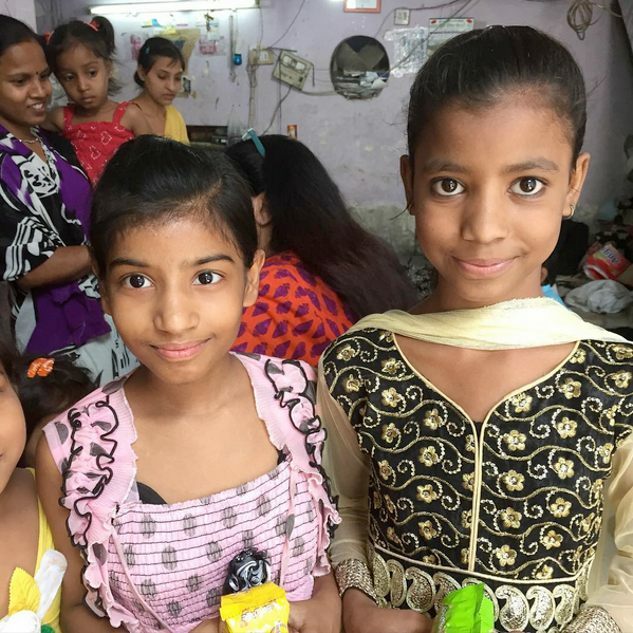 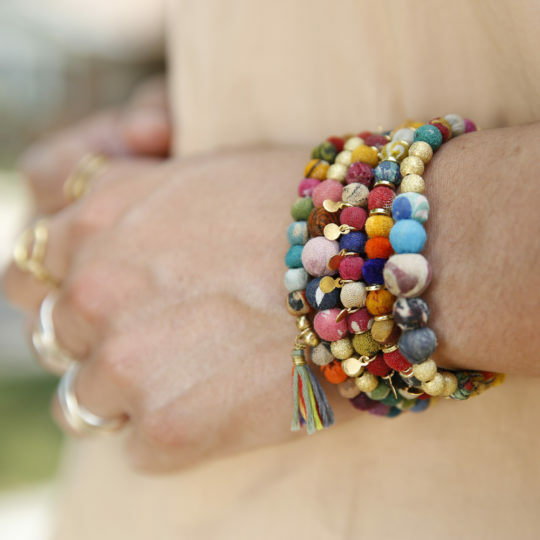 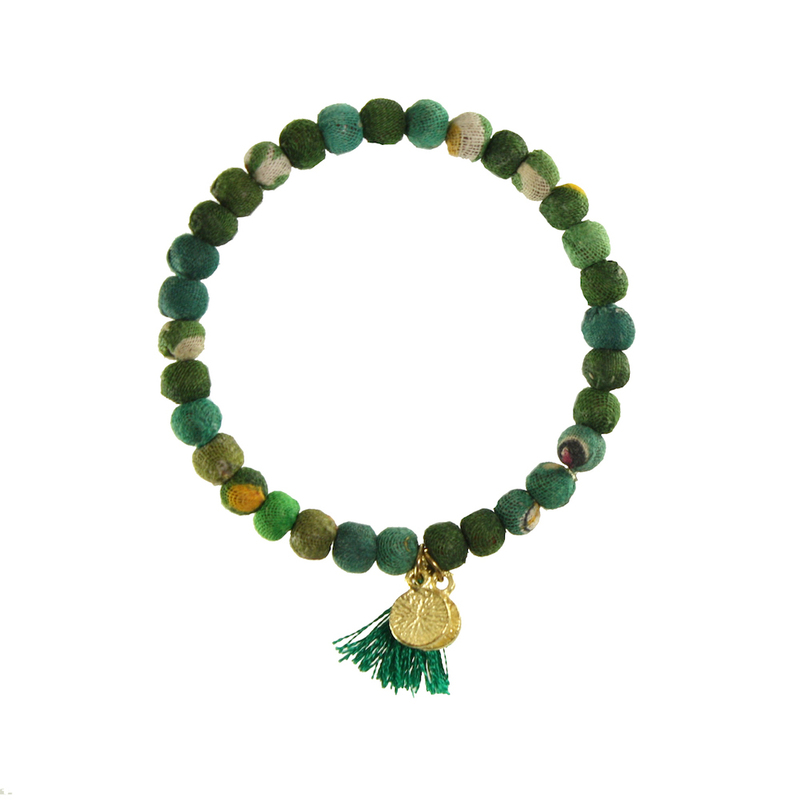 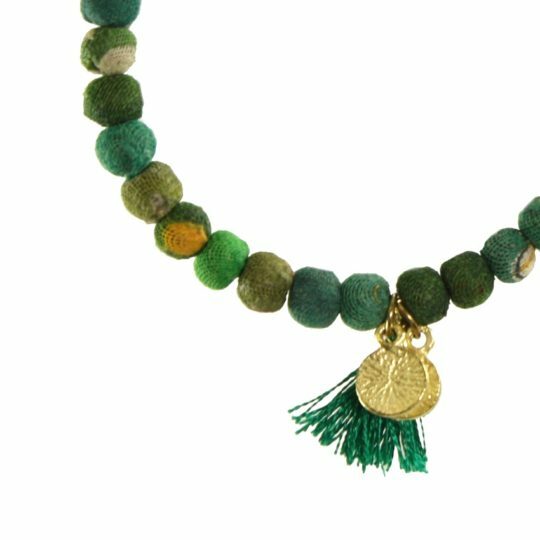   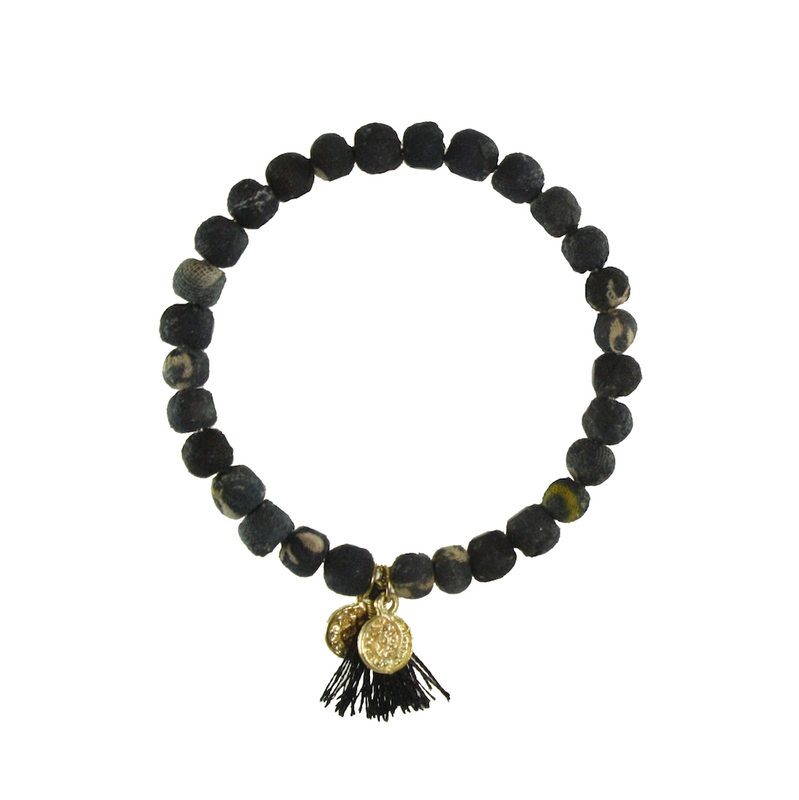 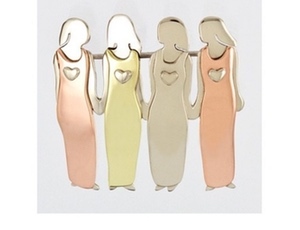 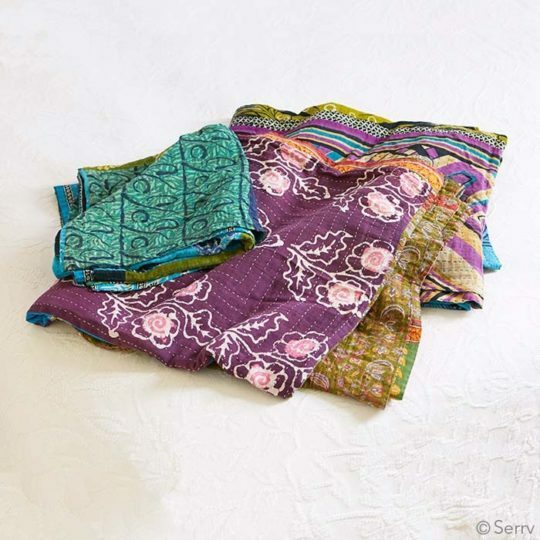 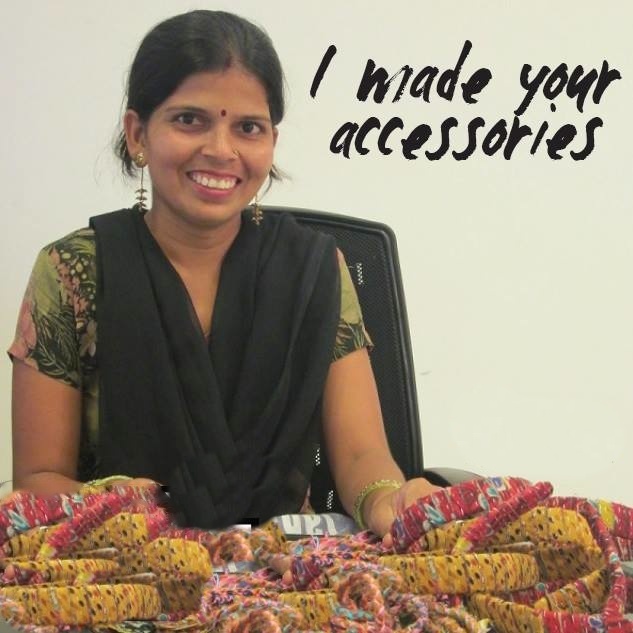 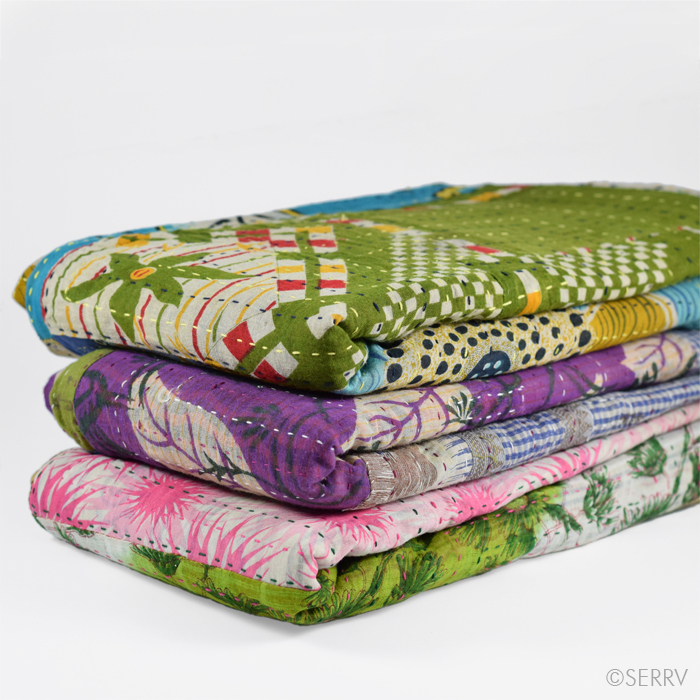 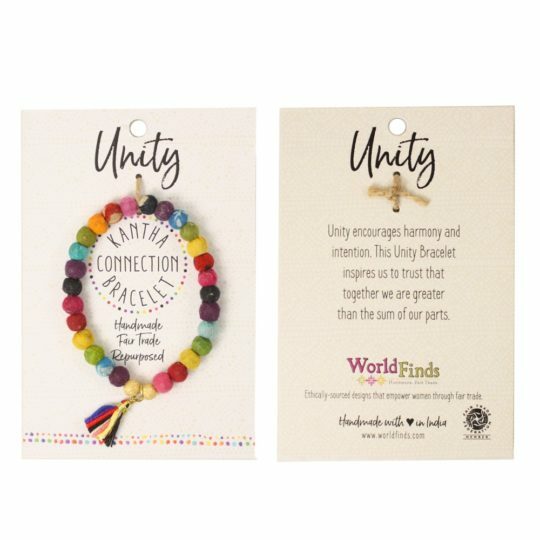 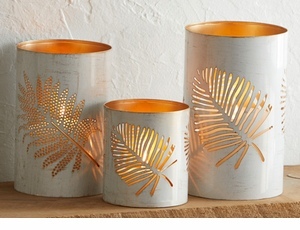 Handmade by women artisans in India who are improving their lives and communities through fair trade.